This is my first time to sketch something on the iPad Pro with apple pencil. I love the portable working experience! And I could imagine how this powerful and convenience device impact our working flow in the future. However, I still think sketch on the slippery glass surface is a little bit tricky. Hopefully, the paperlike screen protector could fix that small flaw. 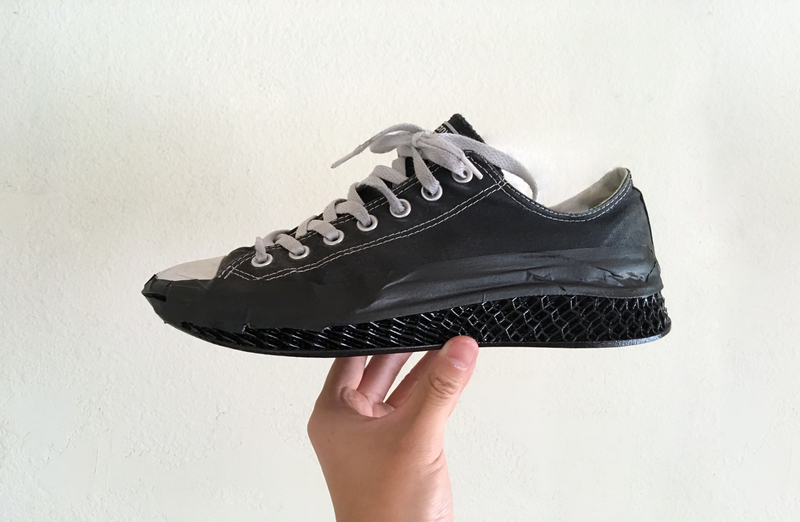 After working with PEAK's footwear designers for several weeks, I finally got the sample from China! It looks great! Can't wait to see Tony Parker wear this as lifestyle footwear in the future! 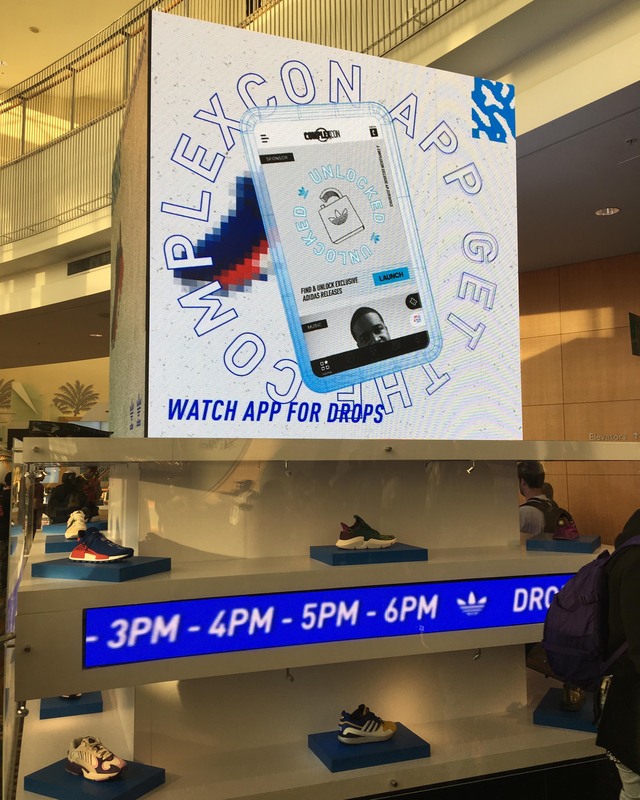 On the ComplexCon this year, Adidas Originals debuted a new AR feature that allows people to buy some of the limited edition shoes easier. 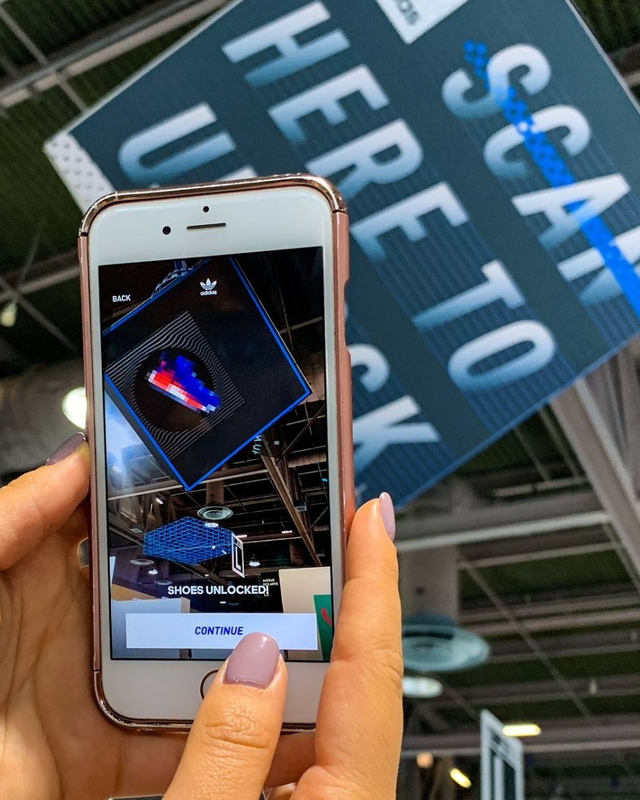 By using the random launches on an app and the user experiences based around emerging mediums like augmented reality, Adidas try to even the playing field for every sneaker-lover. The experience is very fun to watch. Especially when hundreds of people are running into one spot and scanning the code together. 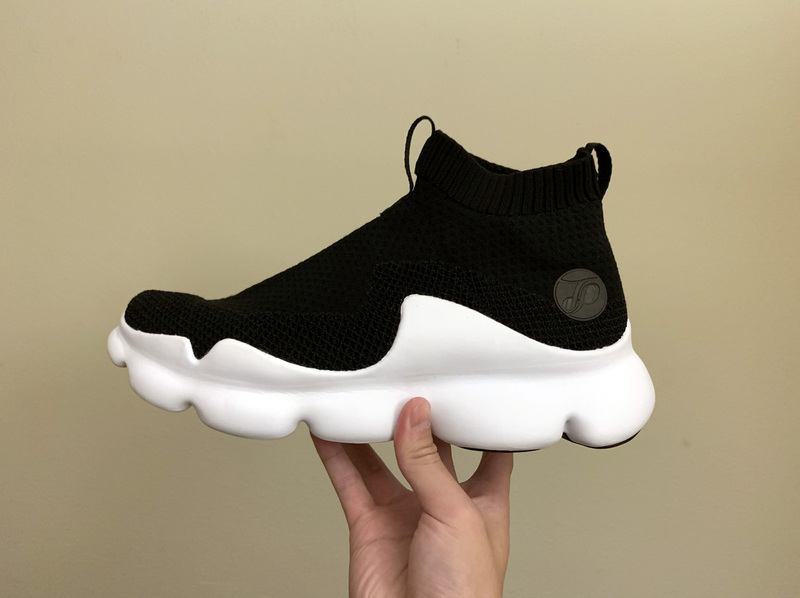 It feels like we are playing the sneaker version of Pokémon GO in real life, which makes this even better is that these items are the real shoes. Can't wait to see more interesting interaction experience in the sneaker world. I found this brand on the ComplexCon. It's called PANGAIA- a brand that creates from renewable and alternative resources such as bio, lab-grown, recycled materials and more. 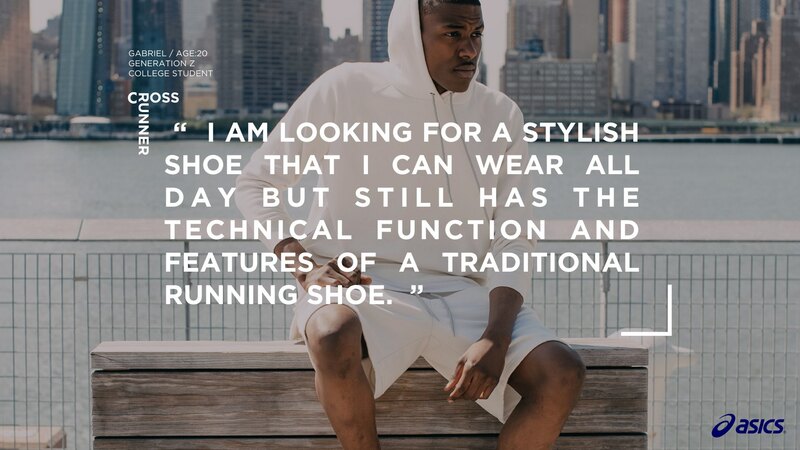 I love their approach and I do think this sustainable method of making means a lot to the future of sneaker industry. 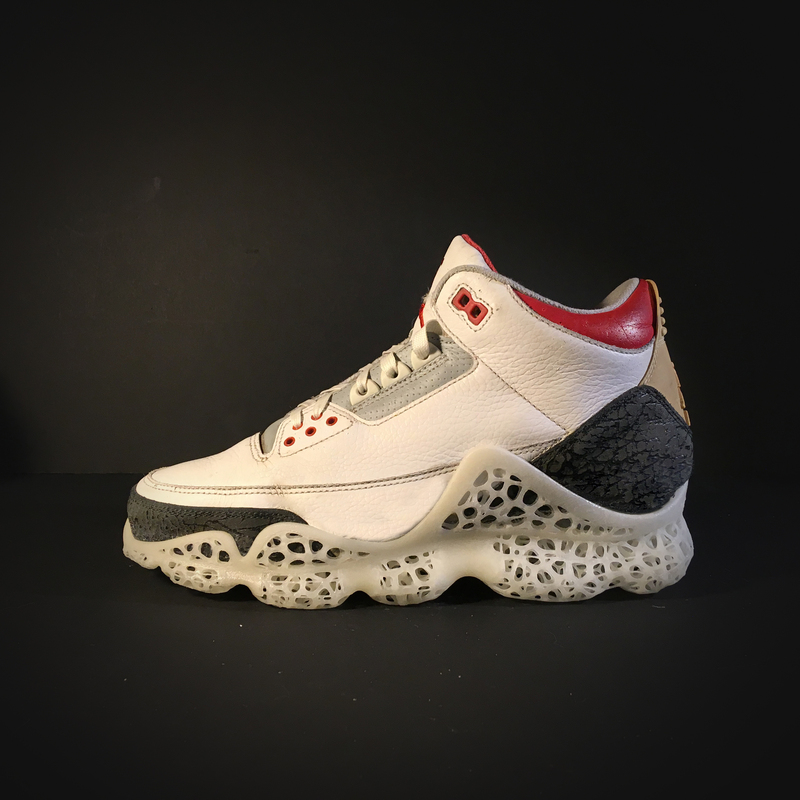 It also really inspired me to create some sneaker concepts by rethinking the material and the "end of life" of the product! By the way, I really want to try out the puffer jacket filled with the wildflower down. WHO YOU WANT TO KILL? Moral machine is an online experimental platform for gathering a human perspective on moral decisions made by machine intelligence, such as self-driving cars. Moral shows you dilemmas, where a driverless car must choose the lesser of two evils, such as killing two passengers or five pedestrians. As an outside observer, you Judge which outcome you think is more acceptable. 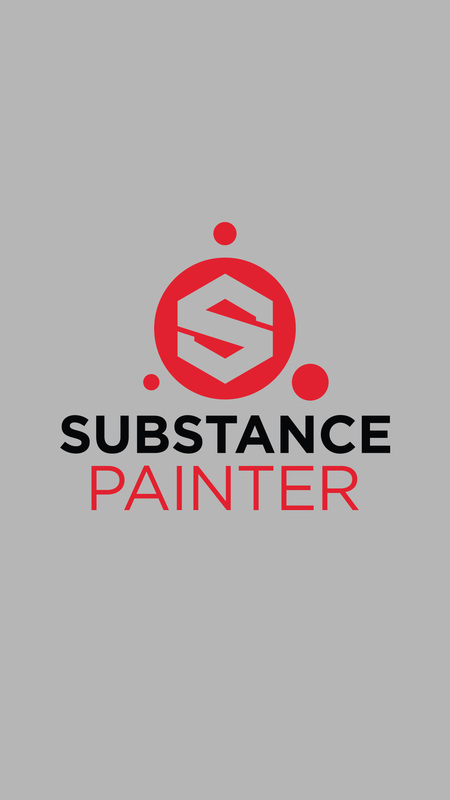 Try to learn some new skills and play around with SUBSTANCE PAINTER today. It's a fantastic software that simulates different materials like knitting or fabric. Compare with Keyshot, SUBSTANCE PAINTER does a better job on merging two different knitting structure together without showing a sharp edge. Can't wait to test more new ideas with this great tool. 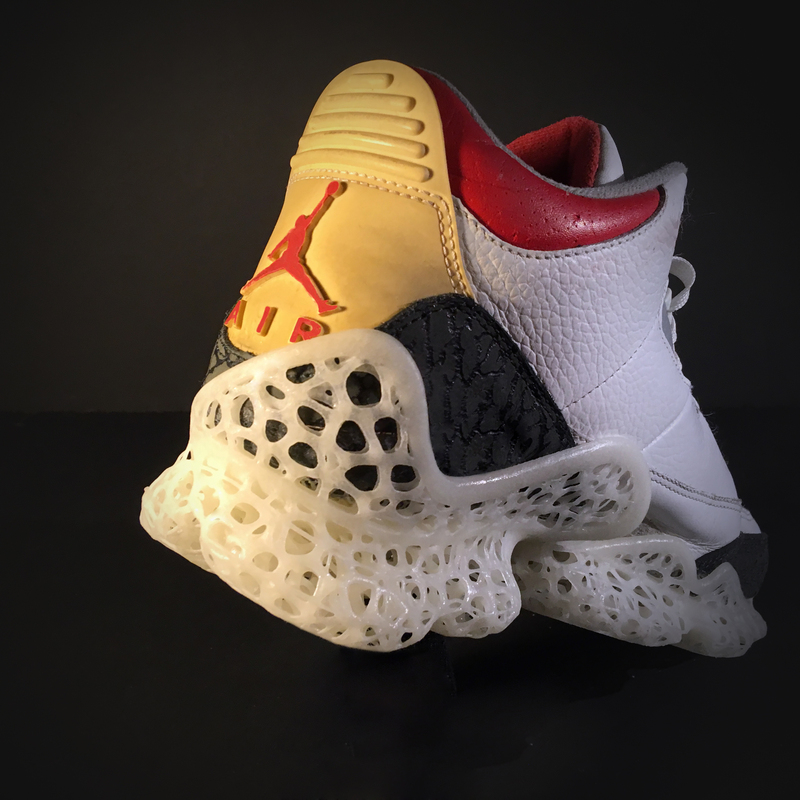 D'Wayne Edwards, the founder of the PENSOLE class, highly successful sneaker designer at Jordan brand, and the pioneer of sneaker innovation did a great speech on The FDRA Footwear Design Summit on October 24th. He worried about the future of the sneaker design. Because social media became arguably the biggest battleground for most brands and footwear designers. In order to grab more attention, designers were trying so hard to post an eye-catching rendering on social media such as Instagram. 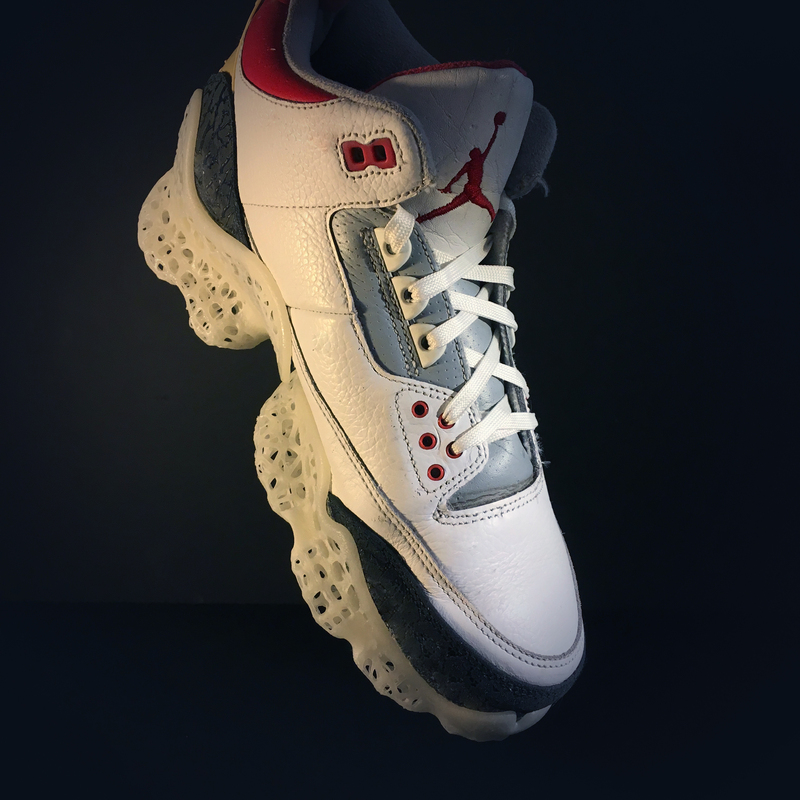 However, cool rendering only the beginning of the sneaker design. To bring the concept to reality, designers have to learn how to make things and hack the system on the manufacturer side. Unfortunately, seems like seldom have designers have been really dived into manufacture part yet. Obviously, In the US, people are more focus on the design side. And the U.S. is far away from the manufacturing center such as China, Vietnam or so. As a designer who had been worked in China for over 7 years, I could give some insights into this problem. China's strength is on the manufacturing part also closes to the suppliers and other resources. The U.S. is way advanced on design, concept developing, and storytelling. Because of the languages and culture barrier, there’s a gap between U.S. designers and Chinese manufacturers. Since I can see both sides, I start to see another possibility for my career, is to become a bridge between the two sides. Sustainability is more than just using a renewable material and calling your product Eco-friendly. Just in 2015, we made over 23 billion pairs of shoes on this planet. However, 95% of them(21.8 Billion pairs) go to landfill/ incinerator. 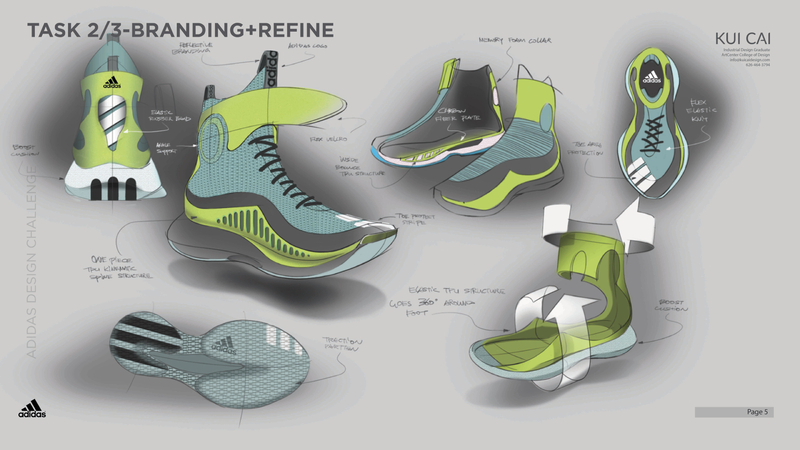 Seldom have sneaker designer and companies really think about the "end of life" design. So, Tiffany Beers on the FDRA footwear design summit stage asked a great question to all the designers, creators and innovators. What if you, as a designer, were responsible for the waste generated by your designs? 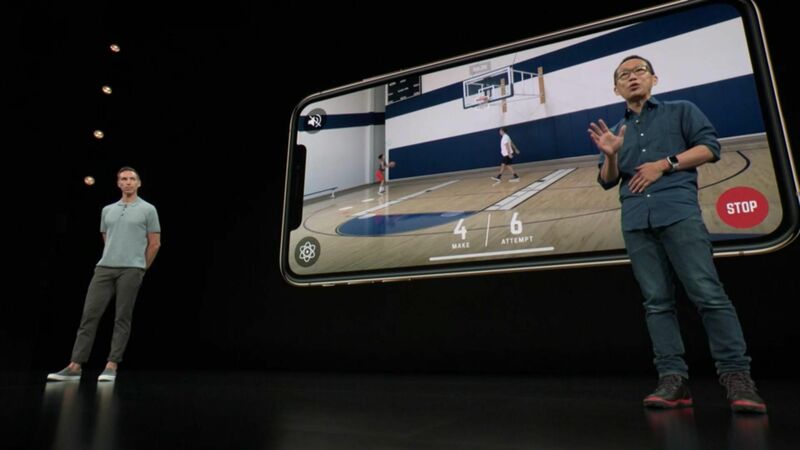 NBA Legend Steve Nash and NEX Team CEO David Lee present the HomeCourt app at Apple's Keynote event. This app uses mobile artificial intelligence to record, track and analyze individual practice sessions. I believe this training app unlock a lot of great opportunities for different basketball brands. Because, with HomeCourt app, players are able to gain advanced insights that are unable to be tracked by the naked eye. 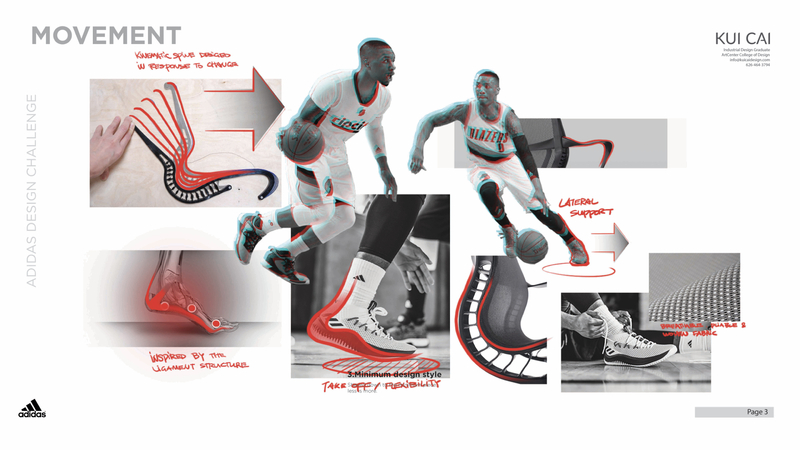 These insights will allow basketball players to learn faster and training smarter. "Start with why"- a great lesson i learned from art center gradid! I learned this great lesson from Art Center GradID's class. 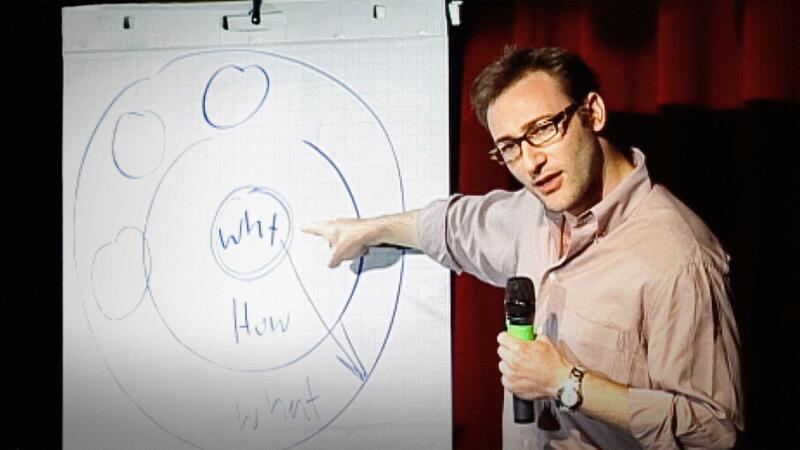 Simon Sinek has discovered why companies like Apple have been able to achieve such extraordinary success while others, with the same resources, have failed. Why great leaders who eventually make their vision into a reality. He explains it through this idea he coined" Start with Why." "Start with why" really changed my thinking process and work flow. Recently, not only for my work, I used "start with why" as a daily reminder of myself. First thing in the morning I will do is to double check all my personal goals with why. Why I do this and Why this is important to me. 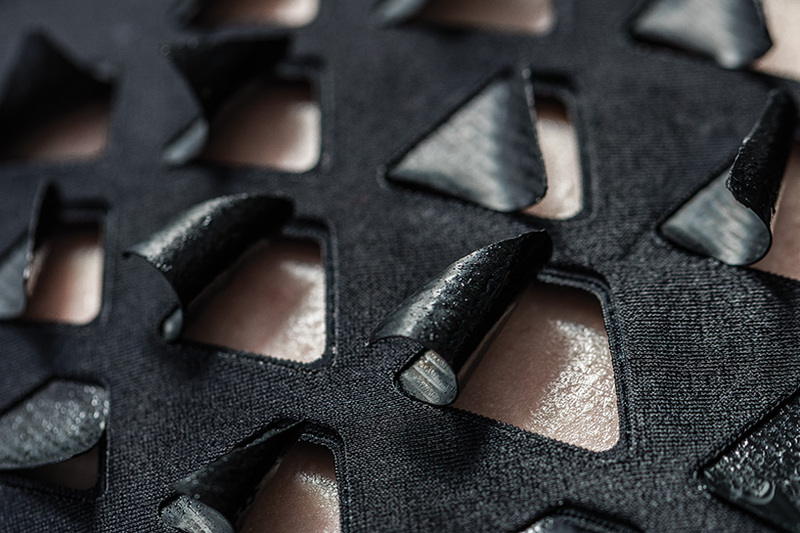 MIT's biofabric could be the future of performance? MIT researchers have designed a breathable workout suit with ventilating flaps that open and close in response to an athlete's body heat and sweat. The ventilating flaps are lined with live microbial cells that shrink and expand in response to changes in humidity. The cells act as tiny sensors and actuators, driving the flaps to open when an athlete works up a sweat and pulling them closed when the body has cooled off. A small project I did for Adidas. 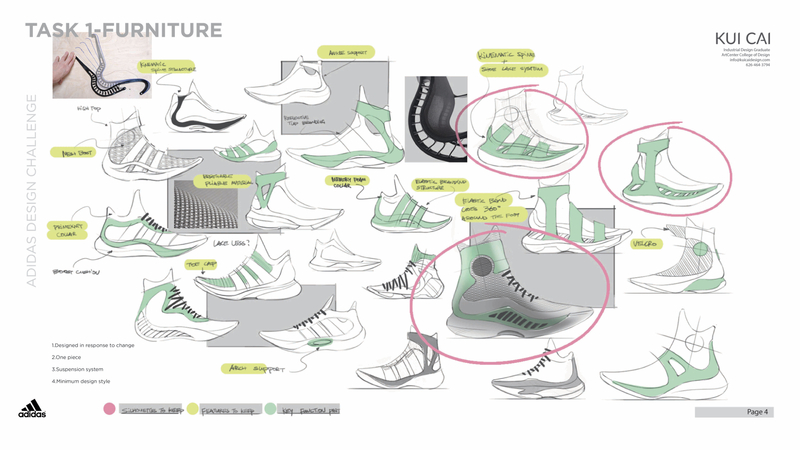 The goal is to design a pair of shoes from a furniture. A small design project I did for ASICS. It's called cross runner. 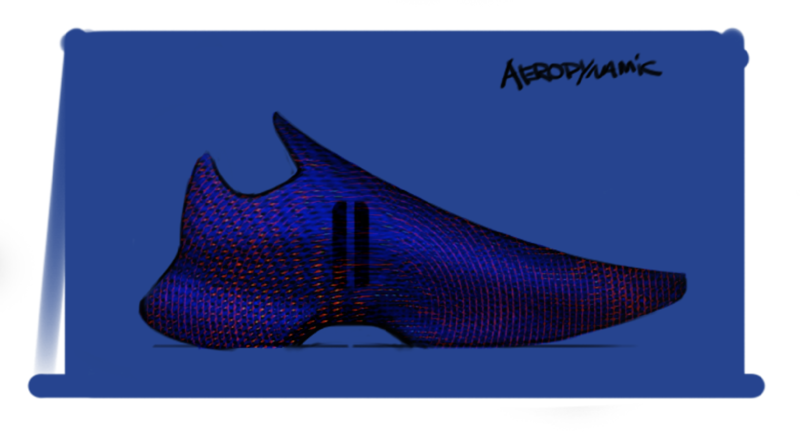 The goal of this project is to create a daily shoe for college student who is looking for stylish but also technical function. So people can wear it all day from gym to library. 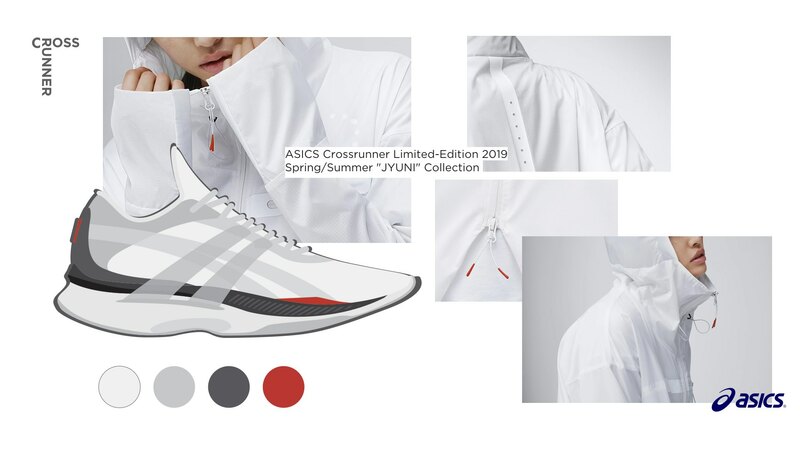 I pull out some inspirations from ASICS premium collection "JYUNI" for this design concept. JYUNI, or 12 in Japanese, represents the structure of time. Simple question. 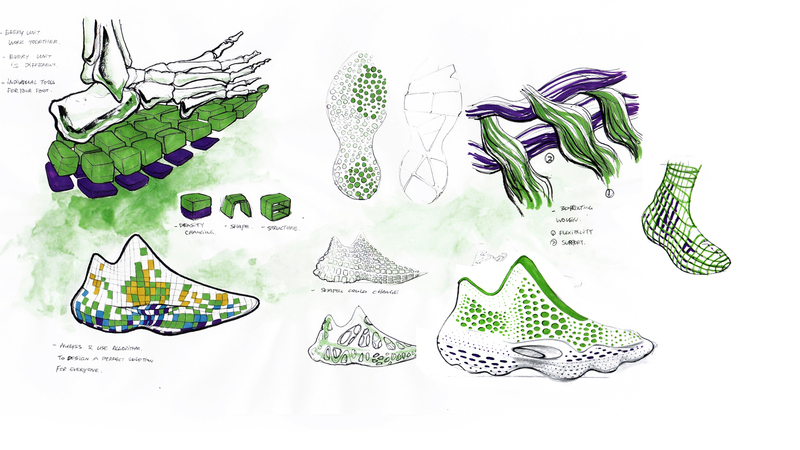 What if, the game-changing technology meet with the game-changing sneakers? WHAT IS your FAVORITE SHOE AND WHY? "Tell me, as a footwear designer, which pair of shoes is your favorite? " recently one of my friends asked me. "I know it's tough. But, yes. Only one!" 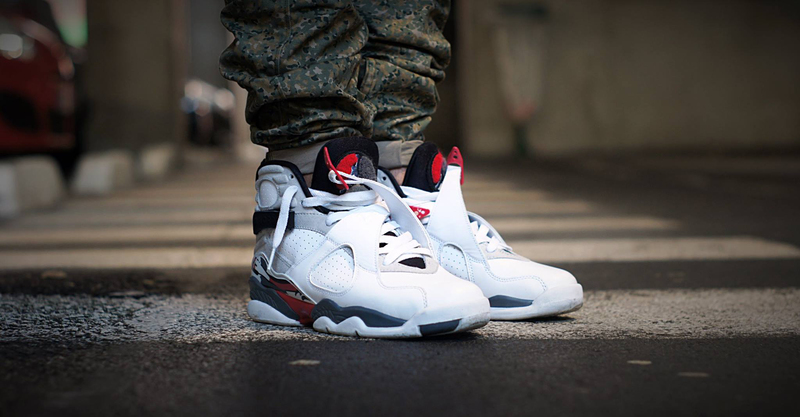 "Air Jordan 8!" I said. On 1995's summer, at my age of 10, I saw this pair of shoes first time in my life on the basketball court. At that moment, I didn't even know the brand, the name and the story behind the sneaker. All I knew was it's so cool and I want to see more details. So I followed the guy who worn this shoes for almost half an hour. Later, in that afternoon, base on my memory, I drew down the first pair of shoes in my life. After several years, I knew that it was called Air Jordan 8. After finishing my college, instead of being a stage designer, I decided to become a footwear designer.